Just to say ‘Southern India’ may conjure up images of exotic locations and delightfully subtle cuisine in the minds of people who have yet to visit this treasure at the tip of the continent. 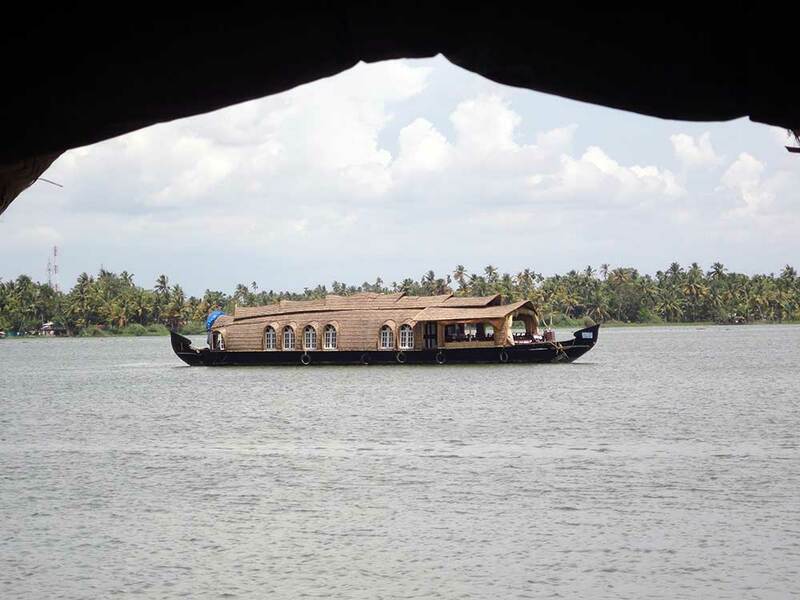 You can almost smell the coconut and curry leaf flavoured food through the word ‘Kerala’. On this trip you will not be disappointed. 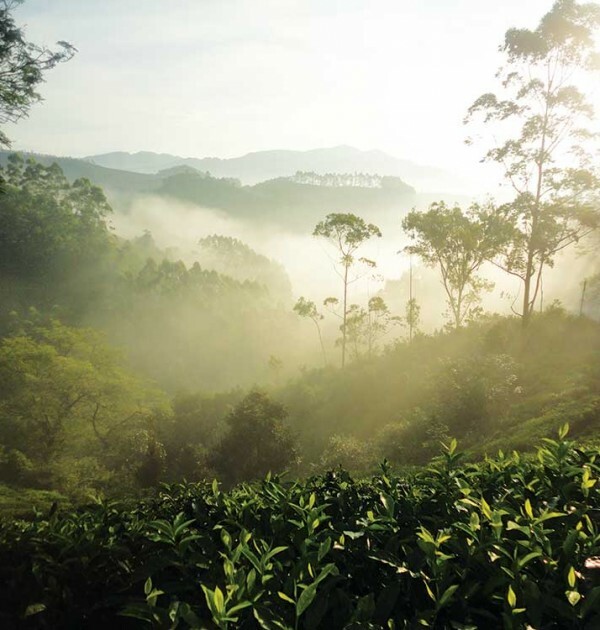 Once inland from the busy coastal strip, lush green hills planted with virtually every aromatic plant climb steadily up to the drier, cooler heights of the Western Ghats where immaculately manicured tea estates grace the hill tops. 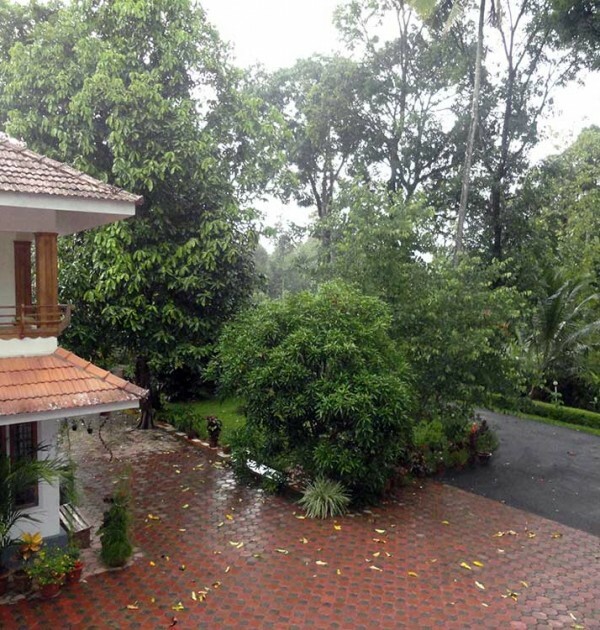 On arrival we take you directly to Dewalokam, a luxury haven of tranquillity amongst rubber, coffee and spice plantations where they serve simply the best food in India! 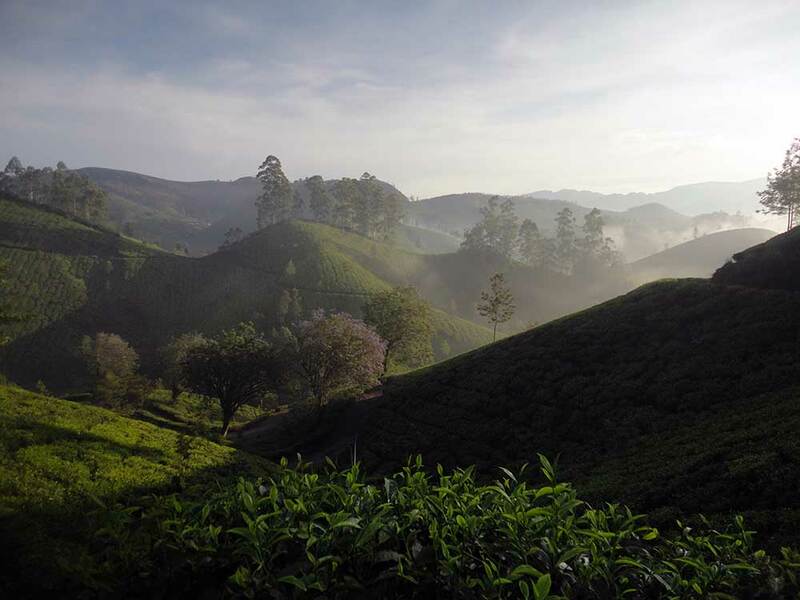 After settling into our surroundings we begin our nine days of gentle trekking through these tranquil hills. On the final day we ascend Meesapulimala (2640m), the highest (unrestricted) summit in the Western Ghats. 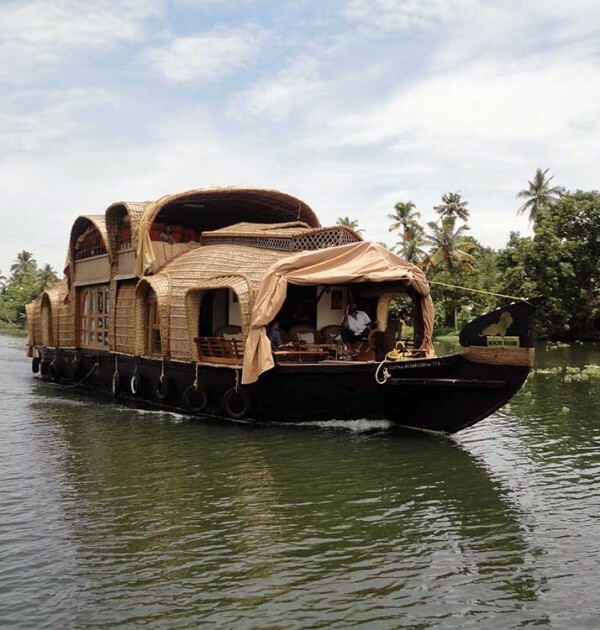 Finally, and a ‘must’ for any visit to Kerala, we take you aboard a rice boat which has been converted to a luxury houseboat for an overnight cruise through the ‘backwaters’ of Kerala. 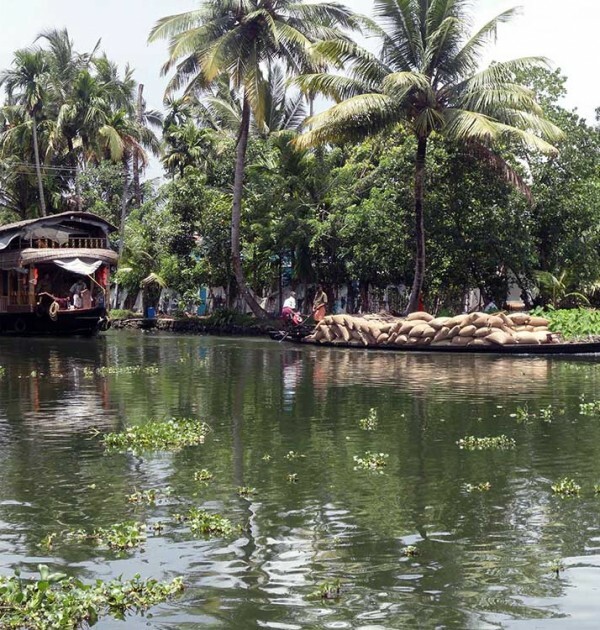 Here you can sit back and watch life on the river and canal banks pass by, sipping cool coconut milk, savouring fresh pineapple and probably wishing you could stay longer! We do! Days ½ Depart UK, arriving early the following morning into the Kochi. 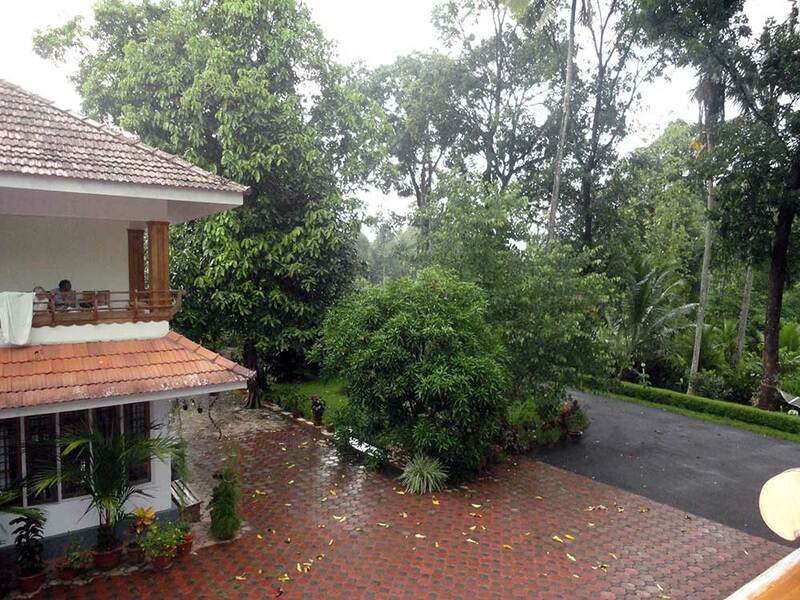 We transfer to a remote farm villa located in the spice growing areas at the foothills of the Western Ghats. In the afternoon you are free to explore the spice gardens & the village or take a dip in the pool. Day 3 We depart early for Kumbummedu in the hills arriving by noon. After lunch, start the trek. We start our trek from Kumbummedu. We will follow the jeep trail to Ramakelmedu, where we have spectacular views of the vast plains of neighbouring Tamilnadu. Massive statues of Kuruvan & Kurathy – two legendary tribal figures – make up the backdrop to the magnificent views below. 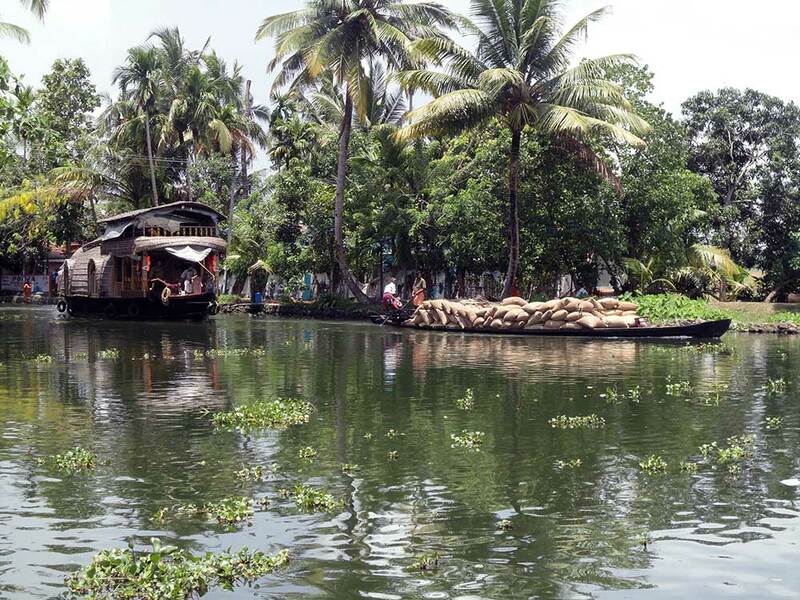 The route is interspersed with tiny spice growing hamlets where the majority of spices of Kerala are grown. We will continue our walk through these small villages and farmlands until we reach our camp. Day 4 After breakfast we start our trek through cardamom and pepper plantations. 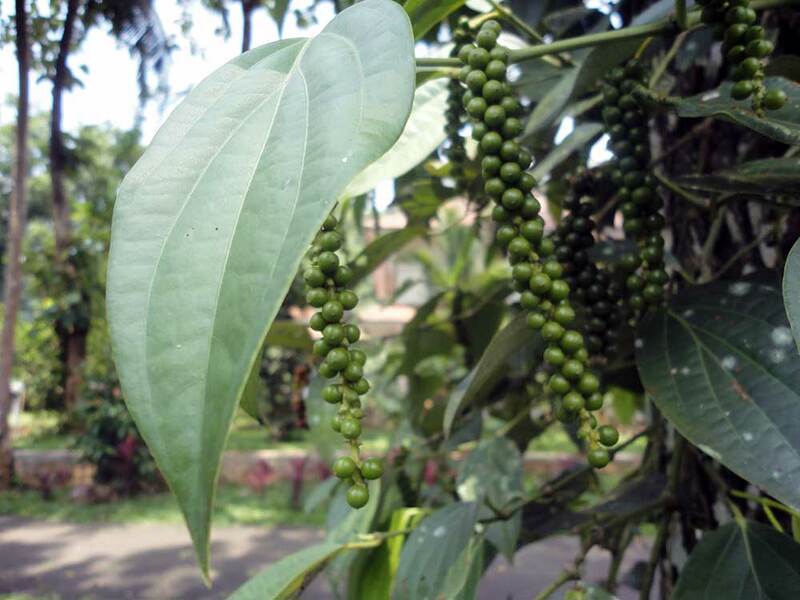 This would make an excellent opportunity as you can see firsthand to learn about how these spices are grown from the local trackers who will be accompanying you. Day 5 We will start today’s challenging trek through sholas and cardamom forests that abound here. 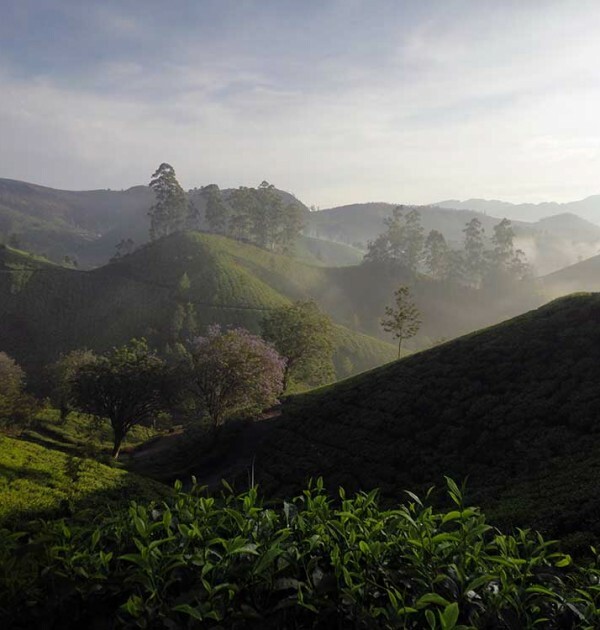 This is the capital of the world’s spice trade, known for centuries as the Cardamom Hills. We will walk from Chaturangapara through thick cardamom forests and isolated spice growing villages. En route we will also be walking though great swathes of grasslands through the spine of the mountains with spectacular views of the plains of Tamilnadu thousands of feet below. 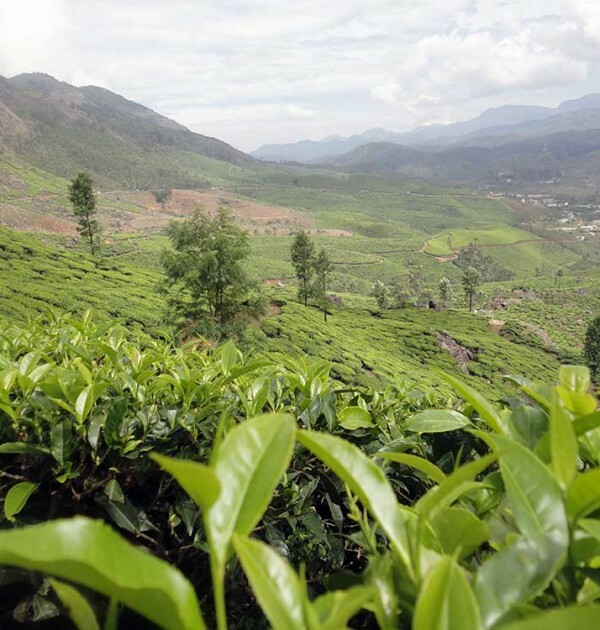 Day 6 We will continue through the thick forests and grasslands and enter tea country at Munnar. 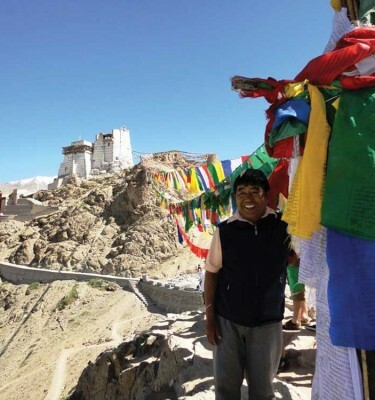 From here we will proceed to BL Ram, a secluded spot on the slopes of the mountain. Day 7 Anaerangal, meaning “The lake where the Elephants Come Down” – a vast expanse of water is amidst a forest where elephants have come down for millennium for grazing and water. Snaking across a large area, this lake is placid and beautiful and a source of water for farmers downstream. 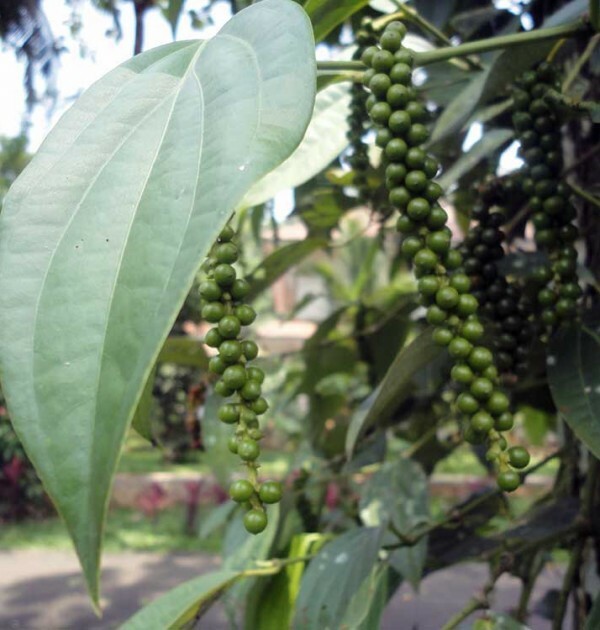 Many tribal colonies have sprung up around it to farm for spices and cardamom which grow abundantly in the salubrious climate here. We will arrive at the camp by noon. 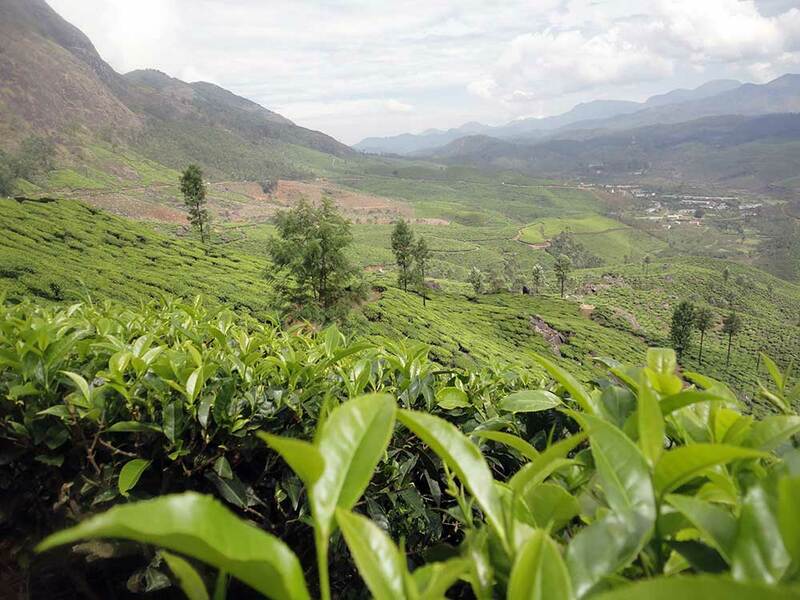 Day 8 We will transfer to arrive at the world’s highest tea estate – Kolukumalai – and visit the tea factory. After the visit, we will start the trek to Korangini a small hamlet located on the leeside of the Western Ghats. Here we will settle into our tents to await the tough challenge tomorrow. Day 9 Before the roads came there was the ropeway connecting Munnar to the plains below. Our destination is the abandoned Top Station of this rope way. 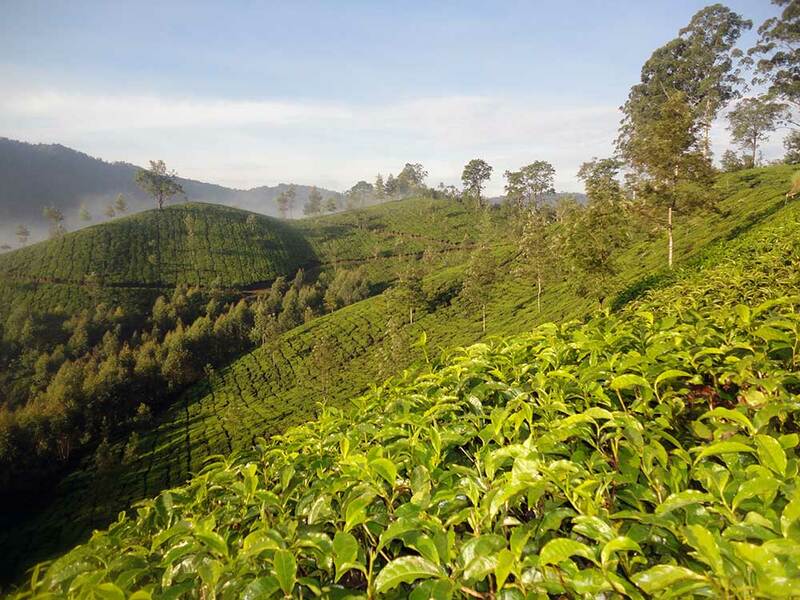 The walk is arduous but the spectacular views of the forests, the plains of Tamilnadu, the hill town of Kodaikanal in the distance and the towering Munnar mountains is indeed breathtaking. Day 10 Today is the day of the toughest challenge. We start early and walk through some of the more pristine areas of the Western Ghats. This is also one of the highest regions of these mountains. The rugged mountain trails form the backdrop to an exciting trek till we reach our wilderness camp located at 2200m. Day 11 The final day of the trek takes us to Meesapulimala, at 2640m – the second highest peak in the Western Ghats. The trek passes through sholas and mountain streams which criss-cross the area. The area is also known for its wildlife – notably elephants, sambar, sloth bear and the Nilgiritahr. When we reach the top, we stop for a rest and enjoy the panoramic views. 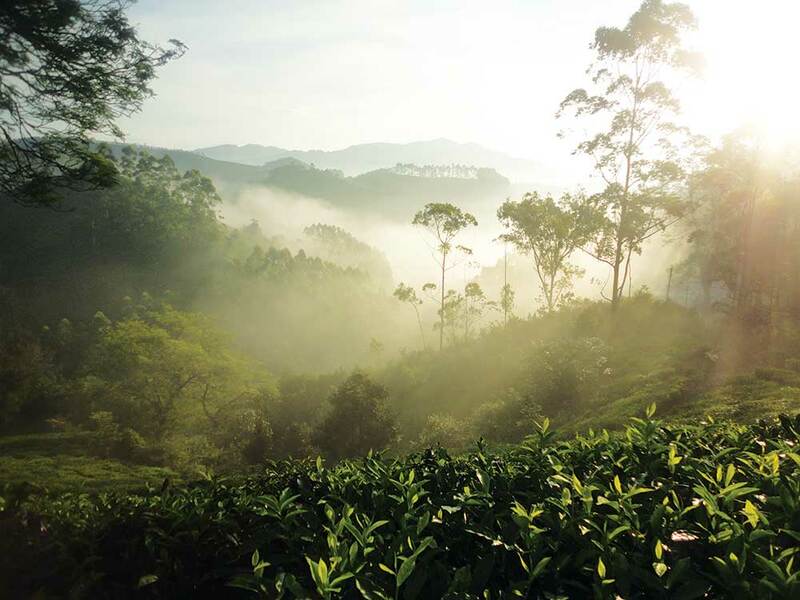 At the end of the day’s trek, we will head to Silent Valley where we will board our coaches and depart for Munnar. 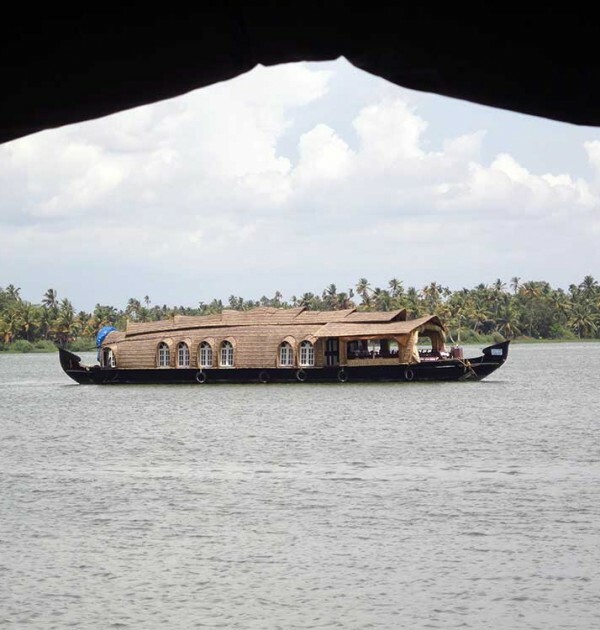 Day 12 Depart for the backwaters and embark the ‘riceboats’ at noon for a memorable cruise down the backwaters near Alleppey. 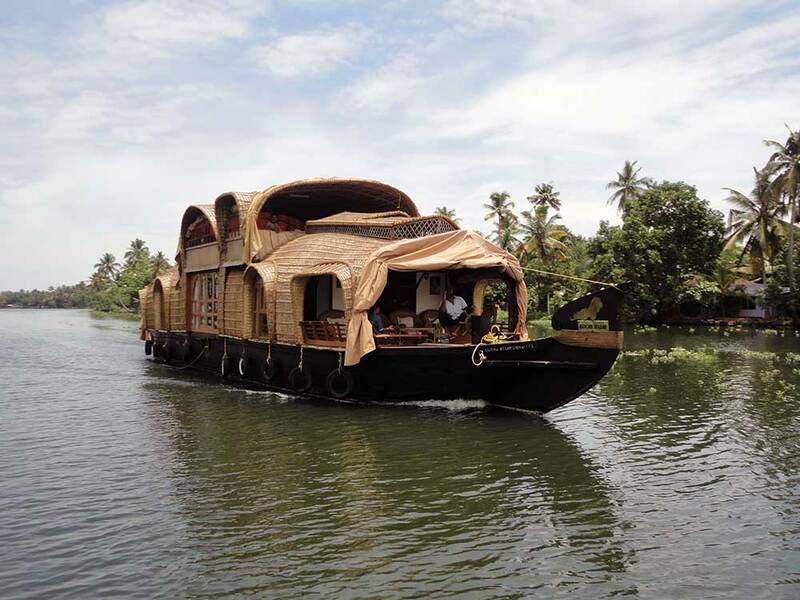 You will spend the night aboard the boat, moored up on the peaceful backwaters. Day 13 Disembark the boats and transfer to Kochi. Days 14/15 Transfer to the airport for the flight home, either arriving home the same day or the next day. Just to let you know that our trek was great, organisation was excellent and our guide couldn’t have been better. He was a young guy of 22 called Anoop who knew loads about the local flora and fauna and was generally very well informed, on top of which had a great sense of humour. We also had a tracker with us all the time. We walked mostly around 7 hours a day, although a couple of days were shorter. 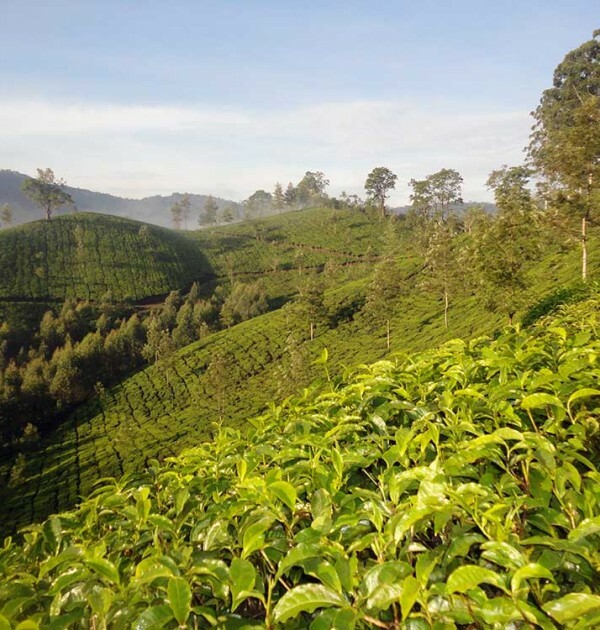 Terrain on the whole fairly easy, narrow paths through cardamom and tea plantations with some steady climbs and descents. The longest 1000m up but steady and one day down 1200m with mostly undulating paths on the last day. Your 3 boot assessment is pretty accurate. Camping was well organised with reasonable basic facilities and the food excellent. We grew to really like the Indian breakfast and were a bit thrown one day because they produced warm cornflakes – ugh! Highly recommend the trek and thank you for facilitating the organisation. We’ve now ‘over on through Mysore and are on our way to Pondicherry.